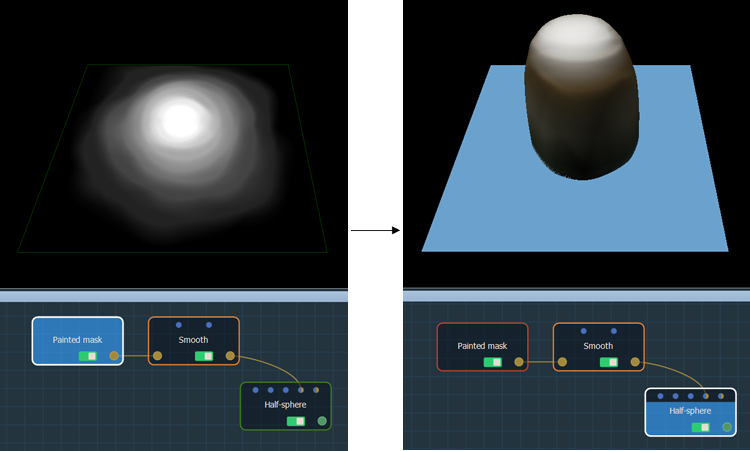 This node creates a half-sphere or semi-ellipsoid plot. 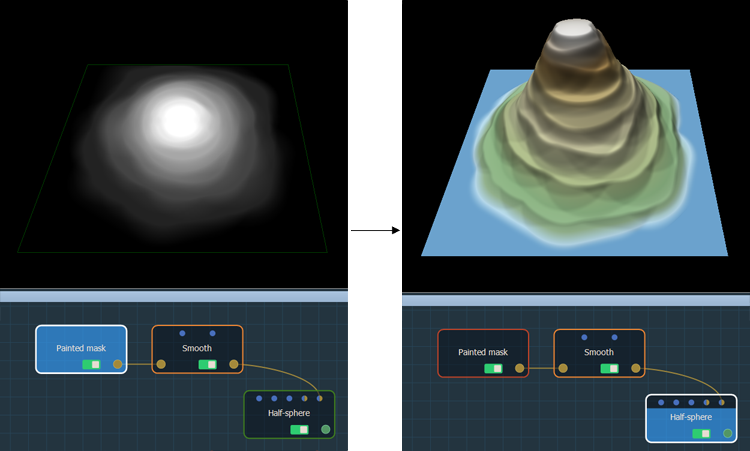 To add a Half-sphere node, right click in the Graph Editor and select Create Node > Terrain Generation > Half-sphere. 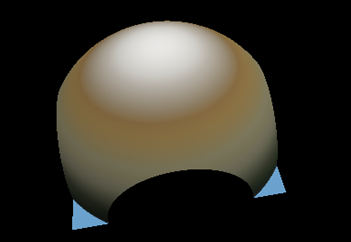 For a value of 1, the diameter of the half-sphere is exactly the size of the terrain, taking into account the smallest dimension of the terrain if it is not square. 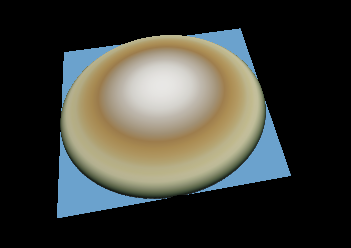 For a value less than 1, the half-sphere is contained entirely inside the terrain. 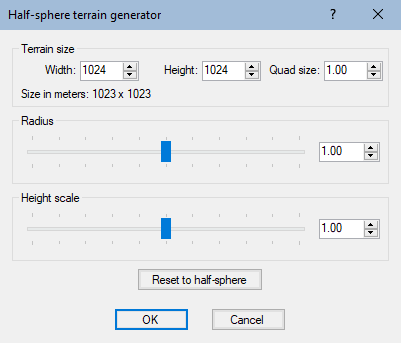 For a value greater than 1, the half-sphere is larger than the terrain. 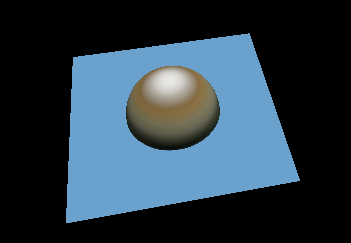 A value of 1 is the default value of the half-sphere (see above). 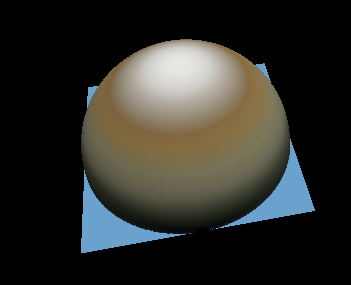 For a value less than 1, the half-sphere is flattened. For a value greater than 1, the half-sphere is stretched. The Half-sphere node has two connectors to drive a parameter using a formula or a mask. The first connector allows you to drive the radius of the half-sphere. The second connector allows you to drive the height scale of the half-sphere. The Reset to half-sphere button resets the half-sphere to the default values. 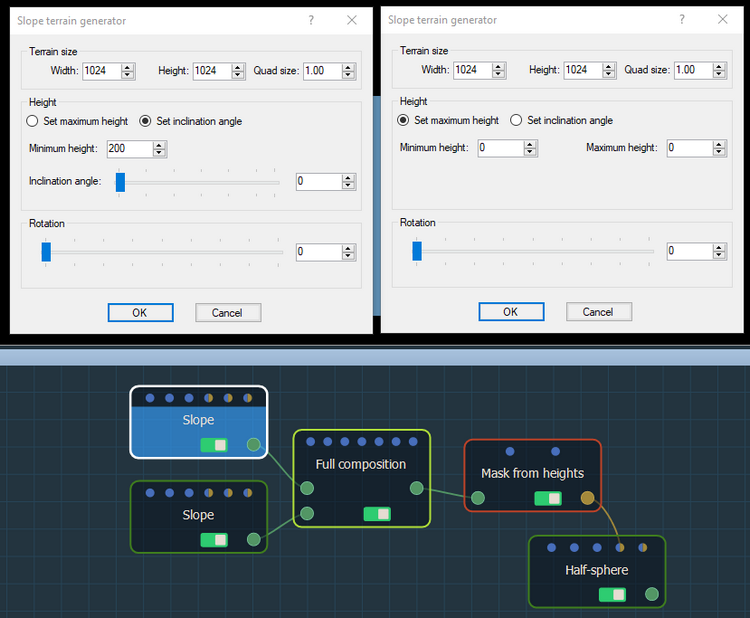 In the sample project below, two Slope terrain generators, one with a maximum height of 0 and the other with the inclination angle set to 200, are composed with a Full composition node. 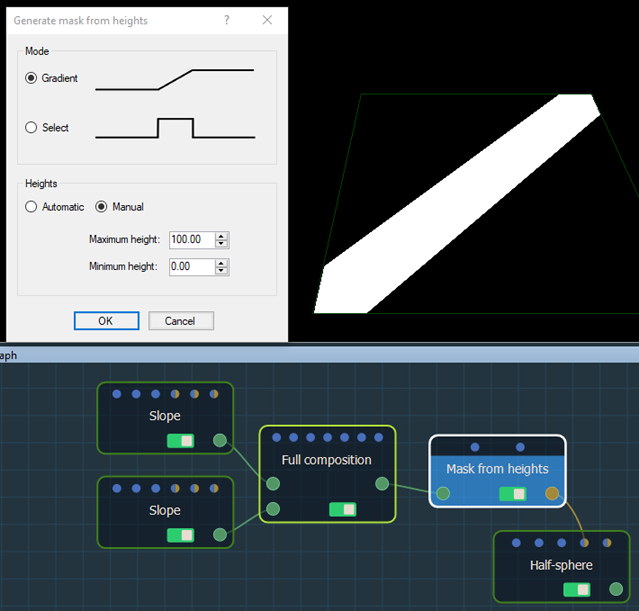 The Full composition output is linked to a Mask from heights node, which has a gradient slope with a minimum height of 0 and a maximum height of 100. 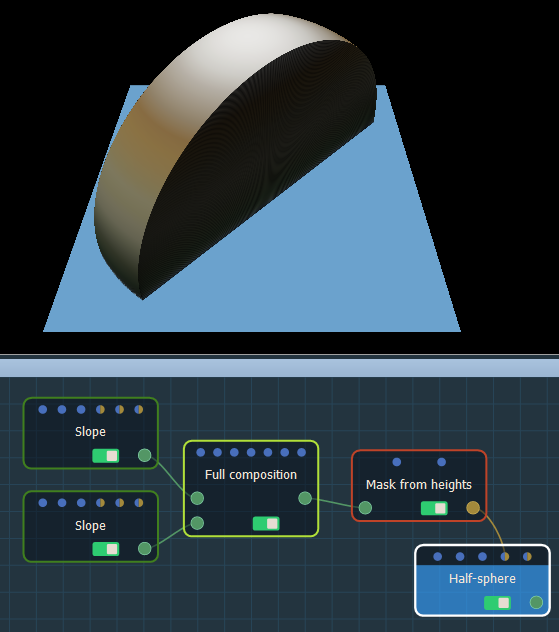 The mask's output is linked to the Half-sphere's optional connector. 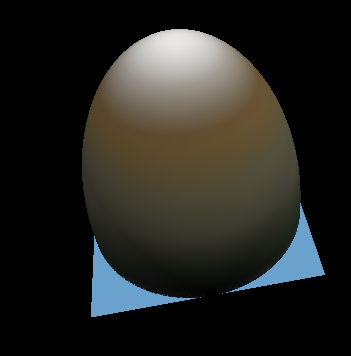 The result is shown by clicking on the Half sphere node. 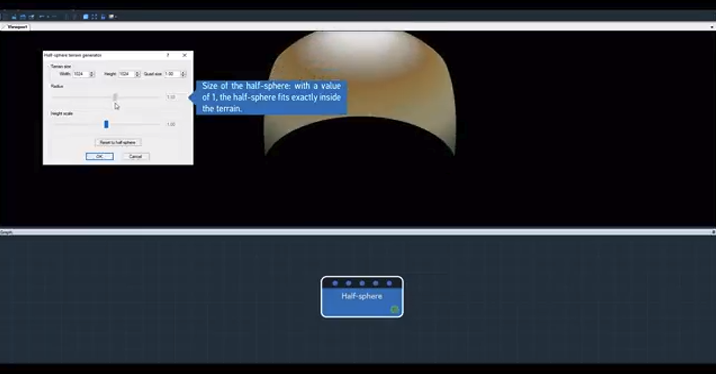 Watch our Half-sphere node video tutorial.